Patrick is a customer and quality-focused business executive who provides the strategic vision and leadership that drives the operational process, productivity, efficiency and bottom line improvements throughout the company. He is a former member of the Royal Australian Army where he served 6 years. 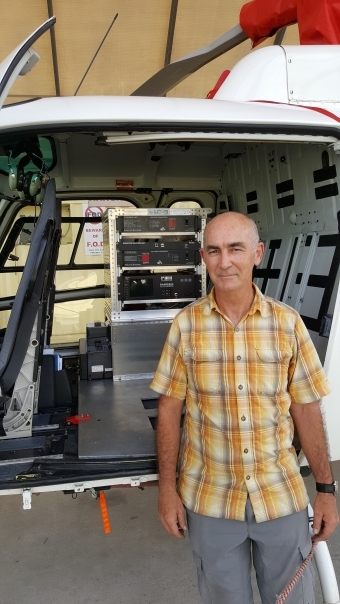 After leaving the RAA with a degree in electronics, Patrick was employed in various operational capacities which has included roles with operation and maintenance of airborne geophysical acquisition/remote sensing equipment in both fixed wing and rotorcraft, monitoring quality of data and production of QC reports/products for presentation to clients, supervision of field crew and liaison with client representations and most recently as Director, VP Operations with MPX Geophysics Ltd.
Mr. Healy is a veteran of 24 years standing within the sector and has been in his capacity at MPX since incorporation in 2006. He has extensive experience throughout Latin America and South East Asia.